Ferreira produces this Ferreira Tawny (£6.12), a fortified wine from Port based on tinta çao, maturana tinta, port, tinta roriz, touriga nacional, touriga francesa, tinta barroca, touriga franca, tinto cão, tinta amarela and tempranillo and has an alcoholic strength of 19.50%. 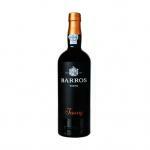 The Ferreira Tawny is the ideal fortified to combine with cakes and pastries and chocolate. Uvinum users evaluate this fortified wine with 4,1 out of 5 points while experts give the following rate: robert parker: 83. Ferreira Tawny has a beautiful red colour with clear notes and a delicate, youthful aroma, with hints of dried fruit and spices, from the barrel. 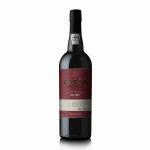 The palate is an elegant wine that shows the correct balance between tannins and softness that gives a long finish. 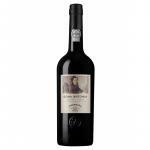 Since 1751 Ferreira name has always Been synonymous with high-quality Portuguese wine. The brand's history is intertwined with the history of the evolution of the Douro Region (demarcated in 1756) and its Port and table wines (Douro DOC). - View: beautiful red hue. - Nose: a fresh and delicate aroma, reminiscent of spices and nuts. - View: beautiful red, reddish hues. 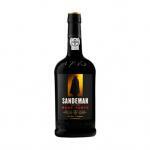 - Nose: a fresh and delicate aroma of spices and dried fruit of the oak. - Nose: aromas of dried fruits with spicy notes. - Mouth: very elegant with a long finish. - View: beautiful red color, clear notes. - Nose: fresh and delicate aroma, reminiscent of spices and nuts. - View: red, reddish hues. - Nose: a fresh and delicate aroma of spices and nuts. The color was between red and brown. Good smell of wood (cedar). I do not know what I had, not sure. 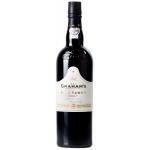 This Ferreira Tawny Port goes well with meats. My overall opinion is that it is a good wine. It had a very dull color. Good aromas of toast and smoke. Flavors of toasted bread. 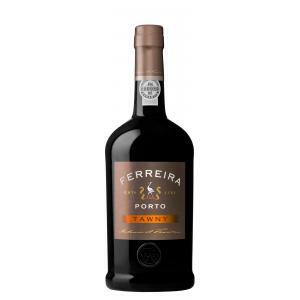 Ferreira Tawny Porto, a very correct wine. If you like strong wine, you know. I drank it with my best friend. Typical opacity of a Ferreira. 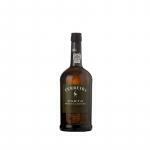 Good flavour and long aftertaste. If you want to buy Ferreira Tawny, at Uvinum you will find the best prices for Port fortified wine. On sale at Uvinum, fast, easy and 100% safe. 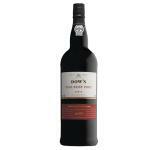 We offer your over 59.000 products for sale becoming this way the biggest online shop to sell wine, beer, and spirits in Europe thanks to more than 38.000 customers who trust us.